Your first grid trading expert advisor! Welcome to your first grid trading expert advisor! We took the best of one of our favorite online expert advisors, Piplite, gutted it and rewrote it creating Cable Gridder. We wanted to provide you with a safe and simple way to trade the GBPUSD with a known grid trading solution and adding all of JTA's proprietary protection features and came up with this wonderful "drag and drop" expert advisor. Take a look at the report above and you will see an expert that meets and exceeds our standards in testing. You will love the neatness associated with this one-of-a-kind drag and drop solution. That's right, this EA does not have a set file! Once you purchase Cable Gridder and install it on your favorite platform, you simply drag and drop it on to your GBPUSD 30 minute chart, set your safety features (see wiki for manual) and let it run. You will be pleased with it's capabilities. We designed this EA to run on the GBPUSD 30 minute chart but that will not prevent you from trying other pairs. To date we have found the GBPUSD to be the best pair to trade with this EA. 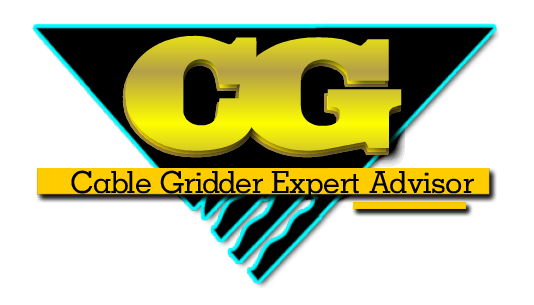 Cable Gridder is an Expert Advisor which uses a price action based grid trading strategy. Several micro trades are placed into a “basket” and it’s through simple price movement that this basket is closed for a profit potential. CG is designed to run on the GBPUSD 30 minute chart, although you are quite welcome to test using different time frames and symbols. Adaptive RSI indicator and/or a MARSI cross are used in assisting the placement of trades. You can also filter the indicators using RSI Trend protection. Further trades will be added if required creating “the grid”. It uses two separate baskets of trades - one long and one short - which can both be active at the same time if allowed. Additional trades can be added to the basket when the price goes against it, or even if the basket is making a profit. Lot sizes can be fixed or you can utilize money management. If your account is held in a currency other than USD and you are using Money Management then our proprietary Currency Convertor will ensure that the starting lot size is based on the same formula as used in our back tests. There are three different methods for taking profits, and all three can utilize a trailing stop if required. Cable Gridder is not only about making profits, it is also about protecting your account balance when things do not go according to plan by using Equity Protection. This is achieved by using portion control, maximum drawdown limits, power out stop losses and Emergency Close All. There are several methods you can use to specify Trading Times, including a Daily Time filter, Holiday Shut Down times, and ShutDown after basket close. Cable Gridder can also provide you with information through the use of the Display Overlay and Account Balance and Equity statistics. Cable Gridder is a great Expert Advisor to use if you are just starting out in the FOREX trading market. It demonstrates a price action based grid trading solution, equity protection based on JTA’s proprietary protection methods and outstanding customer support utilizing our forum and wiki solutions.